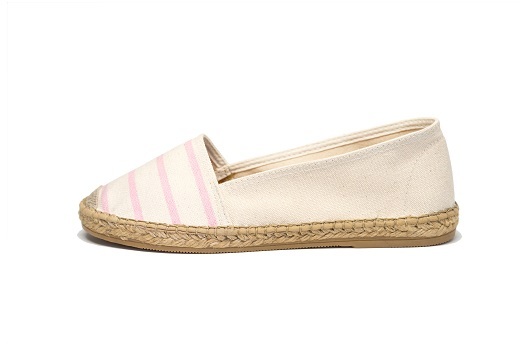 This Laro espadrille, the Classic Low Stripes in Pink, features a thinner and more feminine style traditional jute sole. This classic is constructed with a canvas upper and an unlined jute insole. Our Laro espadrilles are handmade in Spain with vulcanized rubber bottom soles, making them the perfect shoe to wear on and off the beach.